The impact on the child is enormous. Teachers tell us that on Friday afternoons the children who are unlikely to have enough food at home become very edgy and are unable to concentrate. After a week in a structured environment where they have at least two full meals, they will leave school and for 68 hours have little to eat. That insecurity can lead to some behavioral disruptions. On Monday mornings they return to school ill, often spending the day in the nurse’s office. They are unable to focus and concentrate until they once again are nourished. Our impact is huge! 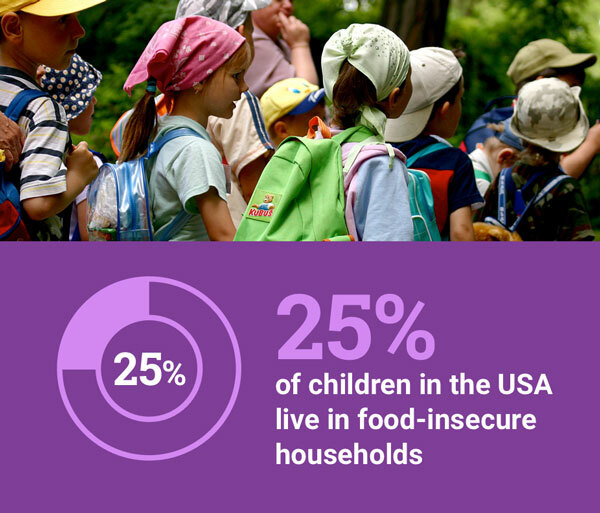 All the behaviors of food insecure children disappear, and children arrive in school on Monday ready to learn, and the disruptive behaviors of Friday due to food insecurity vanish. Teachers report that children are more responsible, and their performance improves. Actual documented increases in reading and math scores have been reported as well. We make a difference in the potential success of each child we feed!